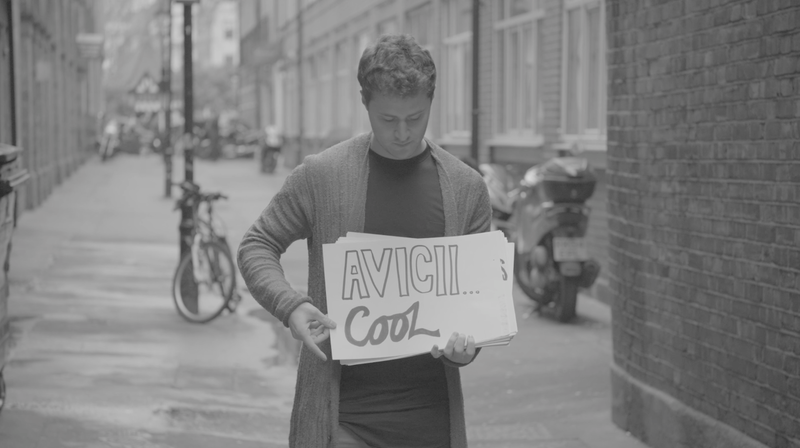 How can a song all about struggling with the afterglow of fame, thrust someone into fame? How can a lyric like, “I’m just a singer who already blew his shot,” give a singer another shot? I don’t know …but it’s funny. 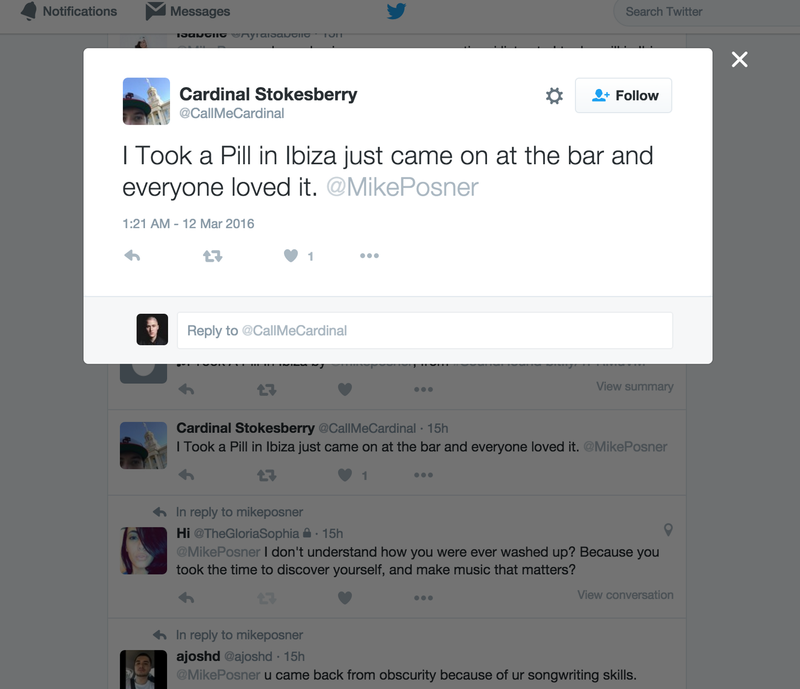 And that’s exactly what’s happening with my song, “I Took a Pill in Ibiza.” To add to the irony, the talented Norwegian duo Seeb remixed and re-appropriated the song into an Ibiza-worthy club anthem. How can a song with depressing lyrics like “I took a pill in Ibiza to show Avicii I was cool, and when I finally got sober felt ten years older,” be the soundtrack to partygoer’s tequila shots and sparkler-draped champagne bottle delivery? I don’t know …but it’s funny. 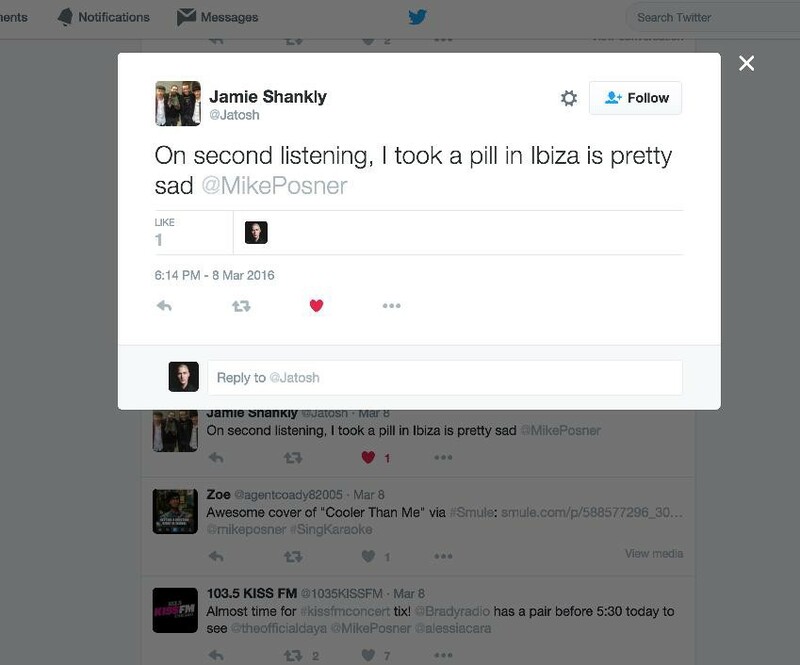 A typical listener (myself included), does not hear the lyrics of a song on the first listen. It’s only if they like the overall feeling of the song enough to warrant a second or third listen that they might start to pick up on lyrics. It was Dr. Luke who first explained this to me. When I produced the original version of ‘Ibiza’, I was familiar with the human brain’s tendency to recognize rhythm and texture before lyric. Thus, I used as few of instruments possible without the music getting boring. I wanted the lyrics to directly be in your face. That’s why in the verses of the original there is only a guitar and my vocal…that’s it. I kept up my crusade for comprehensive lyrics in the mixing process. When Tony Maserati mixed my album I had him turn all of the lead vocals 2–3 decibels louder than he normally would. I wanted the lyrics on TOP of the music. I wanted to see if I could make people hear the lyrics on the first listen instead of the second or third. Did I do a good job? Let’s be honest, I’m not the first artist to be misunderstood. Bruce Springsteen’s social commentary on culture in the US, “Born in the USA,” was famously misappropriated as a patriotic anthem by Ronald Reagan, whose policies the song denounced. And let’s also be clear that I am not complaining. I approved the release of the remix myself, and many people DO make it to the elusive second listen and hear the true meaning of the lyrics, or follow it back to the original. 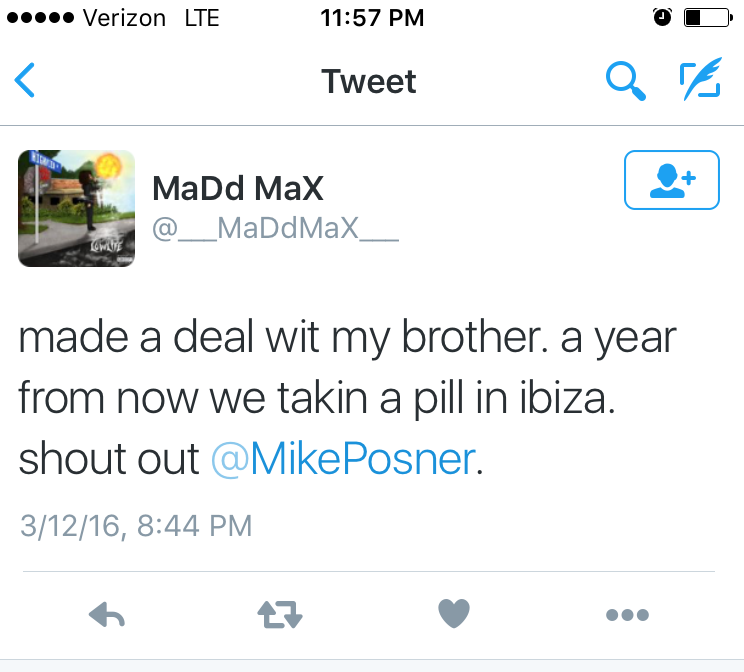 I know that writing this blog is not going to affect the phenomenon of people misunderstanding “I Took a Pill in Ibiza.” But guess what? That’s okay. People are busy and have their own jobs, they are not obligated to dissect the lyrics of my music. They have other things to do. If they want to party and do all the things I say brought me sadness in my song, with my song as the soundtrack…so be it. Then maybe they can get some ironies going in their life as I have in mine. When did God or whatever divinity orchestrating my life and career become such a prankster? I don’t know… but it’s funny.